I love a good holiday. The buzz of going somewhere new and exciting is like nothing else. I also love a good ‘alpha city’ – London, Paris and New York are all in my favourites list for different reasons. When we travelled to NYC I spent a lot of time researching beforehand but the tips we learnt being there were actually the most useful so I thought I would share them with you all. There is many a thing to do in Madrid as you might expect. However, in my experience, three days is a good amount of time to get the highlights done without feeling too rushed. I love Orlando. It’s one of my most favourite places in the World. I’m a huge big kid at heart and there’s nothing more fun than spending a few weeks gallivanting around some of the best theme parks in the globe. I’m back! Apologies for not publishing any posts recently, but as you should know, I have been away having the time of my life in Orlando, Florida. Before I left, I was full of good intentions to write a few mini posts while I was away. As many of you who have visited Orlando before will know, that was a tad ambitious. Orlando can be the most jam packed holiday you’ve ever been on, and we crammed so much in while we were there that at the end of each night I was absolutely shattered and was falling asleep within ten minutes of my head touching the pillow. I thought this might be a fun post for you all to read my main thoughts on my two favourite parks and see some snaps from our trip. 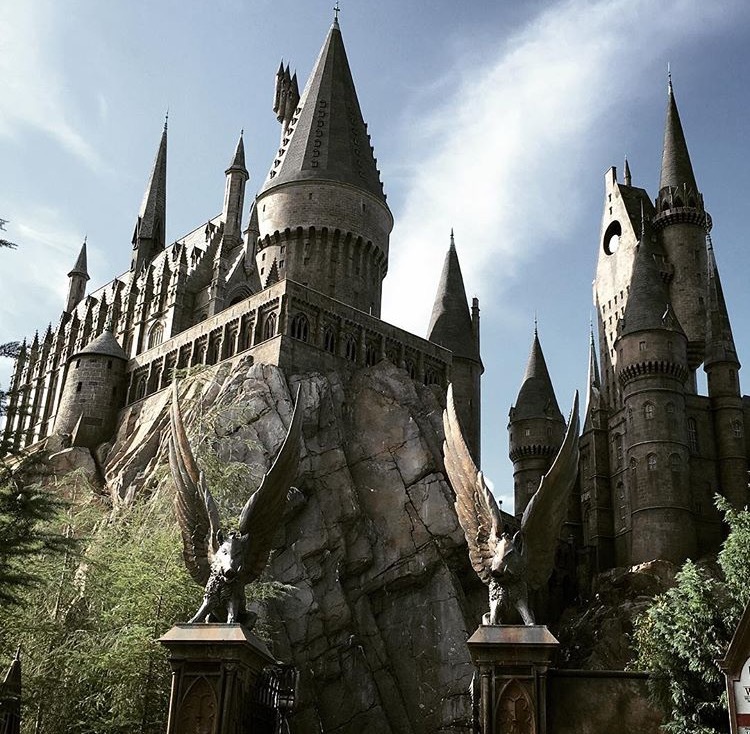 We visited all of the theme parks while we were out there (with the exception of Epcot, boo) and although all of the parks are absolutely outstanding, my favourite was The Wizarding World of Harry Potter at Universal Studios. I’m a huge Harry Potter fan and visiting this park is a surreal experience for any true wannabe wizards. One MUST visit Ollivanders to pick up a wand. Ollivander actually comes out and picks someone to participate in the wand choosing ceremony. I won’t spoil too much, but the magical effects throughout the ceremony are out of this world. I had to buy an interactive wand (Harry’s if you’re interested). There is a spell map included in the box which shows the various locations around the park where you can perform a number of spells which actually work. I do have a slight fear that I am a bit of a squib (sad face) as I struggled with many of the spells while my 12 year old sister had no problem. The rides at Harry Potter are also outstanding and surpassed any of my expectations. 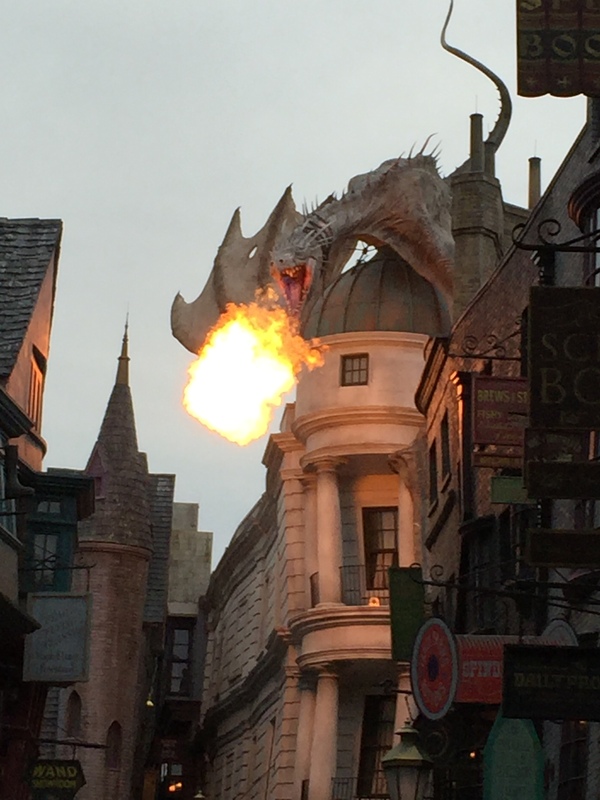 Escape from Gringotts (set in Gringotts bank, where a huge dragon blows actual fire out of its mouth on the roof) has some of the most advanced digital graphics I have ever come across. Again, I don’t want to spoil the ride for any of you who may be planning a visit, but let’s just say a few villains make an appearance and if you aren’t even a little bit scared, you’re solid Gryffindor material. Hogwarts Castle houses another simulator style ride, Harry Potter and the Forbidden Journey. Similar to Gringotts, the graphics and effects are amazing and I defy anybody to come off this and not want to go straight back on. The queue for this ride alone is worth it as it incorporates a tour of Hogwarts where you’ll see the sorting hat, have the paintings talk to you and catch glimpses of your favourite Hogwarts students. Even the Daily Prophets scattered around the tables have moving pictures and eye catching headlines! The attention to detail is second to none, I rode the ride twice and still noticed hundreds of details the second time around. The WWHP is actually located across both Universal parks (Universal Studios and Islands of Adventure), with the infamous Hogwarts Express connecting the two. From US you board the train from platform 9 3/4 at Kings Cross Station (including a walk through the wall moment!!) and witness the journey from inside of your compartment (you’ll hear Harry and co. too). 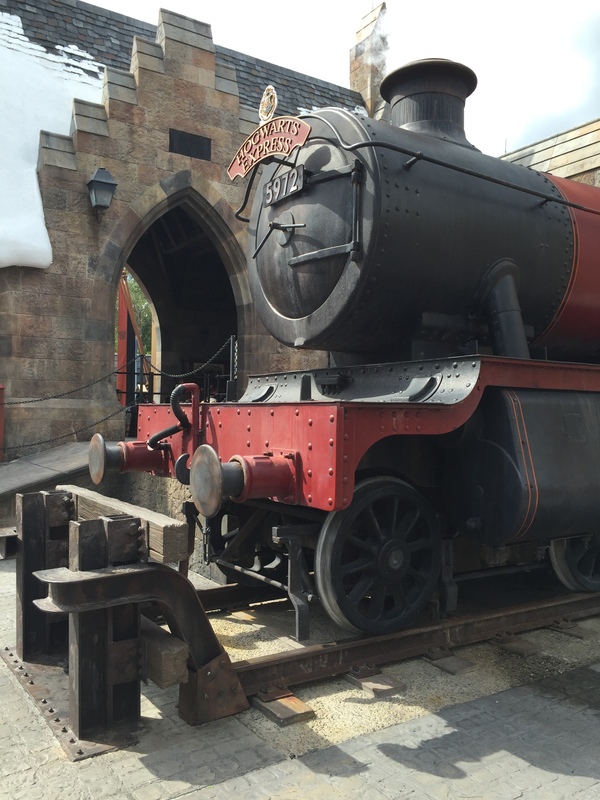 On the IOA side, you board the train from Hogsmeade Station and will be treated to a completely different experience. I recommend travelling both ways. Hogsmeade village is complete with snow capped buildings where you’ll find the likes of Honeydukes sweet shop where you can stock up on chocolate frogs, jelly slugs and Bertie Bott’s jelly beans to name a few. 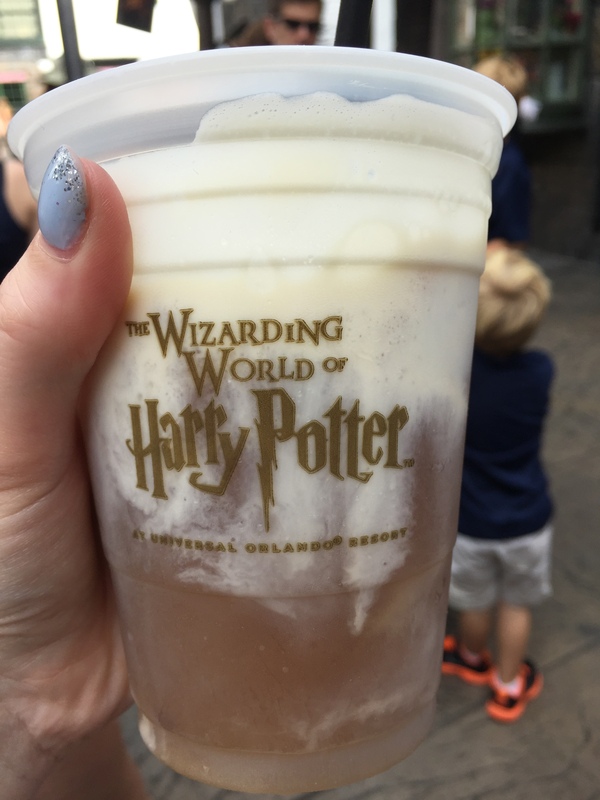 You can also treat yourself to a butterbeer (I highly recommend the frozen version) in the Three Broomsticks or catch a glimpse of some Durmstrang or Beauxbattons students who perform in the main square. 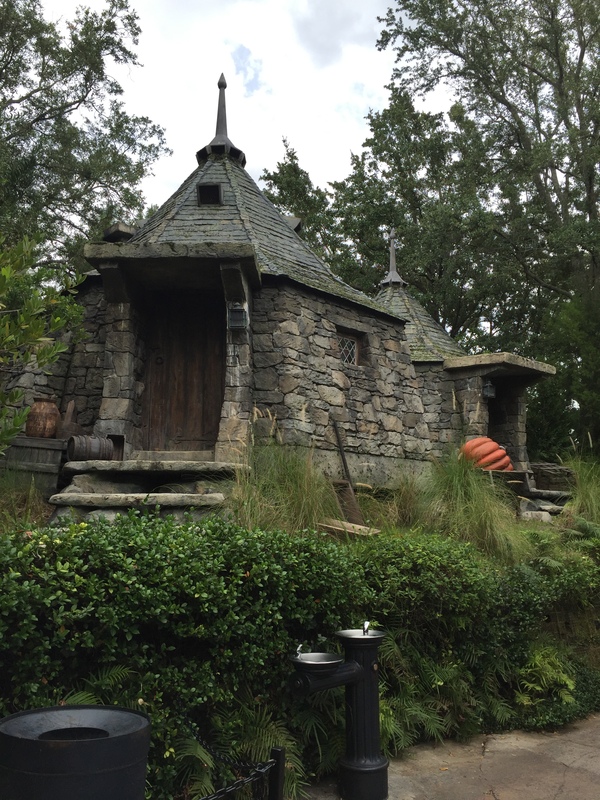 You can see Hagrid’s hut and Buckbeak himself in the queue for Flight of the Hippogriff (a family friendly roller coaster). For those looking for a bit more adrenaline, you can ride both Dragon’s Challenge roller coasters. This ride theme incorporates the Triwizard Tournament where you can ride either the Hungarian Horntail or Chinese Fireball. I rode both as they are two completely different rides and enjoyed the Horntail most. You can also spot the infamous flying Ford Anglia in the forrest on the way into the queue for this ride. Back in US there are hundreds of photo opportunities. You can pose outside 12 Grimmauld Place (look closely at the second floor window, Kreacher makes an appearance). You can also chat with Stan and Ernie at the Knight bus or receive a secret message from The Ministry of Magic by dialling MAGIC from the red phone box. A venture into Diagon Alley is essential. The minute you walk through the hole in the wall you’ll be overwhelmed with detail. 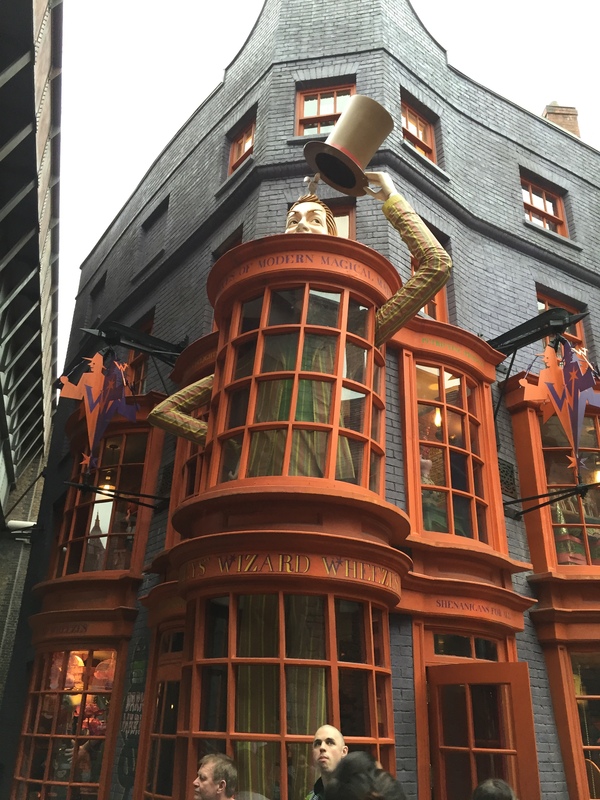 Weasley’s Wizard Wheezes, Gringotts Bank, Madame Malkins and Florean Fortescues all appear identical to how they are in the films. You can pick up a pigmy puff pet where they’ll have a naming ceremony for you or you can venture down the dark and eerie Knockturn Alley. You can easily spend 3-4 hours alone here and in my case several hundred dollars. To sum up, if you’re even a mild fan of Harry Potter, you will LOVE WWHP. I would recommend allowing for an entire day in your itinerary if you’re visiting the park for this alone. We spent a full 9-10 hours here and still didn’t get to do everything we wanted. It is one of the most popular things to visit, so be prepared for huge crowds and potentially long waits for the rides. Have any of you visited before? I would love to hear your highlights! !